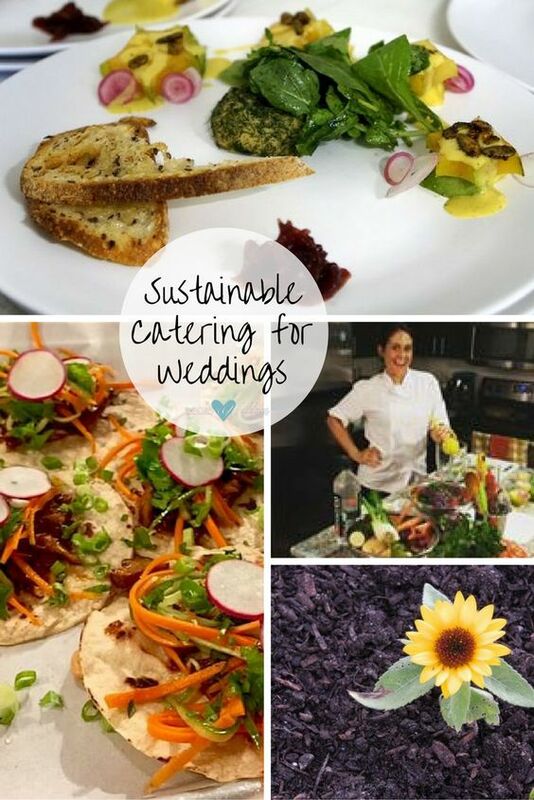 Let’s find out more about sustainable catering for weddings, and discover if you could contribute at least a bit to the health of our planet! We share tips for planning a sustainable, locally sourced menu. Photography: Chaz Cruz. Purslane Catering. Global warming. Carbon footprint. We are all concerned with Earth’s future. Couples can do their part by employing sustainable catering at their weddings. 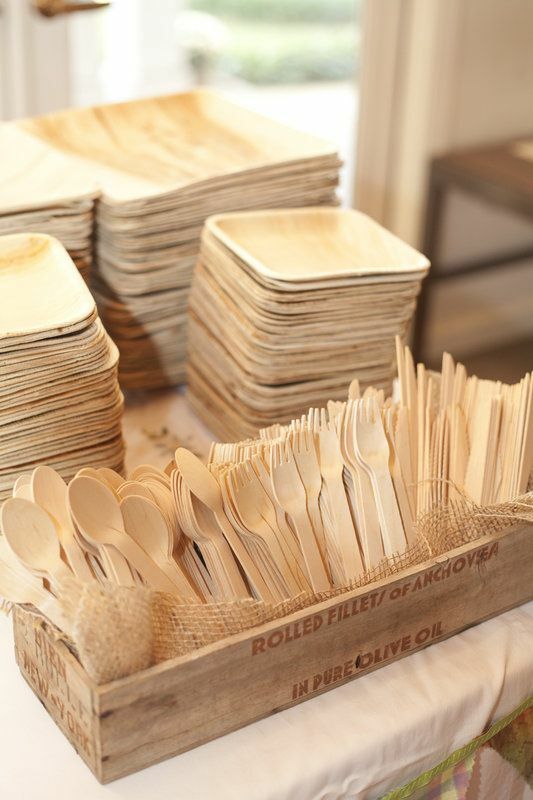 Discover what sustainable catering is and how it works. 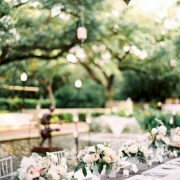 Why Sustainable Catering for Weddings? 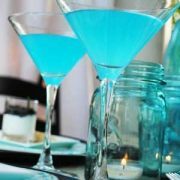 Food and beverage consumption are a crucial part of a wedding, and depending on how food is prepared, served and disposed of can have a significant impact on the environment. Preparing food and beverages requires of a large amount of energy and water. Therefore, any discarded food or drink represents a waste of the energy and water that has already generated an unnecessary environmental impact. We also have to consider the amount of packaging that was used to deliver the food to the catering kitchen, as this can generate significant waste. Individual wrapping increases your carbon footprint, as this requires more disposable material. 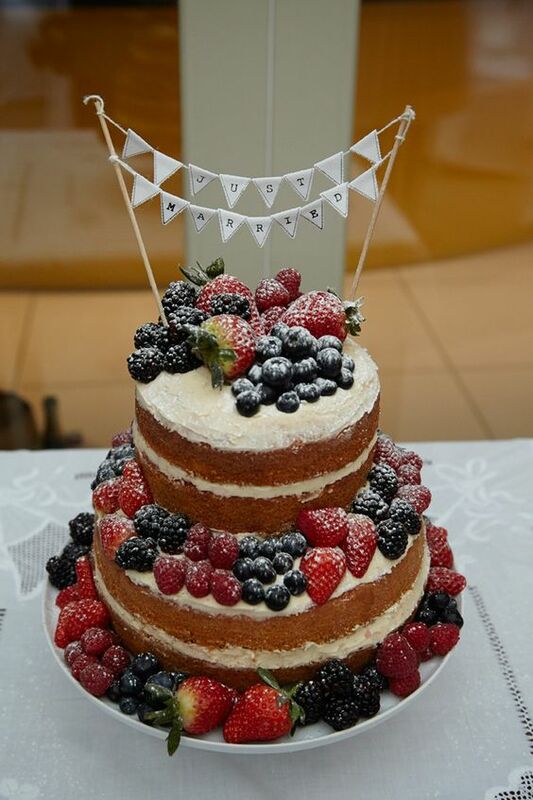 A 1920s Art Deco inspired, ehically sourced, sustainable wedding Victoria sponge and fresh fruit wedding cake. Photography: Alice Whitby. Make sure the type of fish or fruits of your choosing are available at the time of your wedding. If you are going to serve game at your reception, make sure it’s not closed season. San Diego wedding. Seasonality: If we choose to include out of season food on our sustainable catering menu, it will be necessary to import this food from other parts of the world, which means that it will ‘earn’ a larger ecological footprint due to the extra fuel for transport, for example, adding cherries to the winter wedding menu. Fresh and seasonal foods are a good choice for sustainable catering. Geographical origin: The further away the source of the food, the more fuel is required for transport, which increases the impact on the atmosphere. For this reason, there is a big difference between purchasing beef produced within 25 miles compared with buying from another country. The agro-industrial origin: Not all food and beverages are produced under the same conditions of environmental quality. Some farmers are much better than others in terms of showing environmental respect by their agricultural or industrial practices. 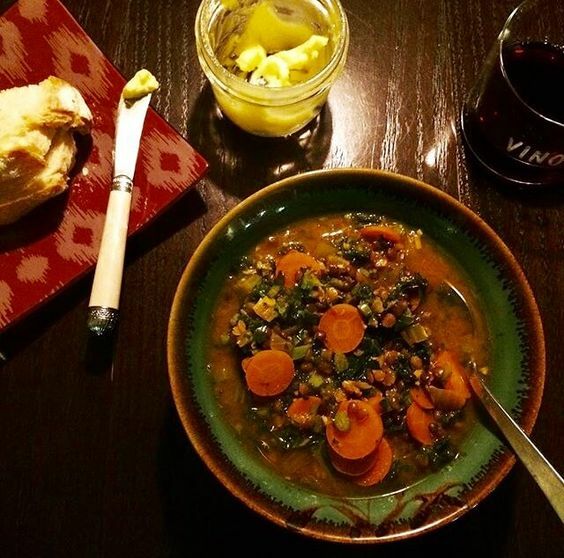 Curried lentil soup for winter weddings served family style by Naked Bite. 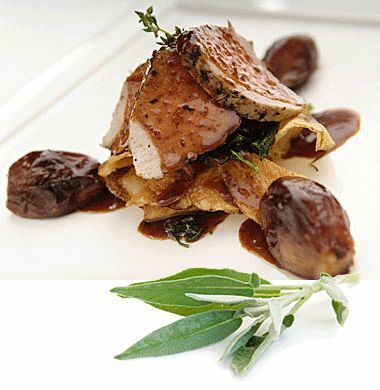 Choosing a farm to table caterer, will help you make the right decisions on sustainable catering. Wedding and event planning by Main Event Catering. 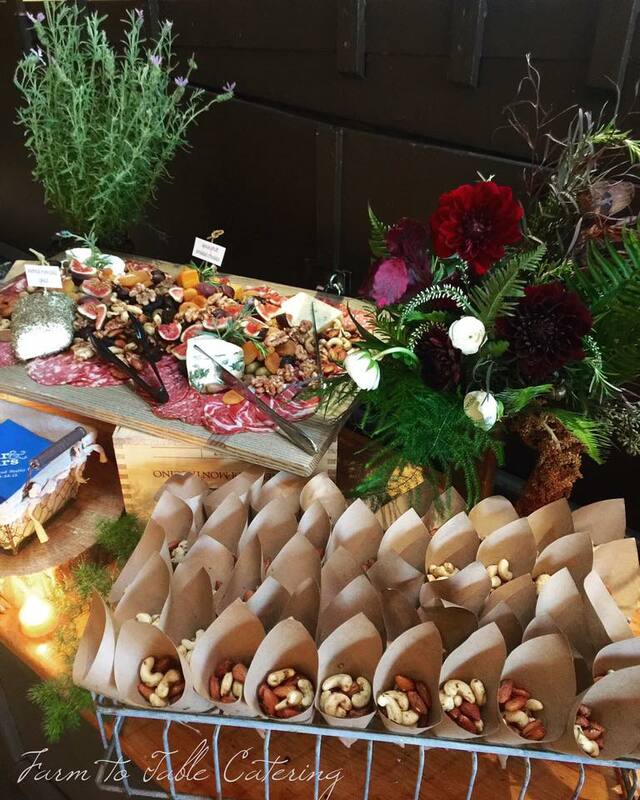 Go local with your wedding food by Purslane Catering. Photography: Kate Ignatowski. Obviously, you will want a caterer who serves meals made with organic and/or locally sourced ingredients. But there are additional things to consider. 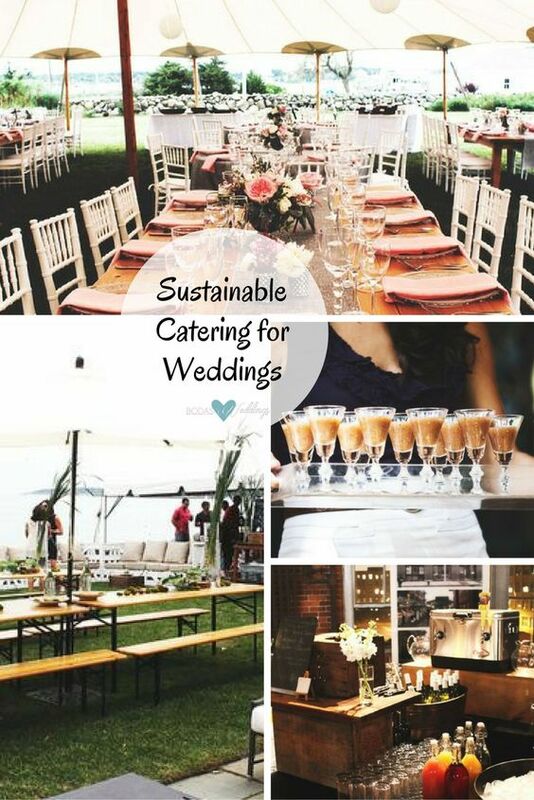 If you have a responsible eco attitude, you should consider sustainable catering for your wedding. We recommend using creativity, synergy and solutions close to your location. 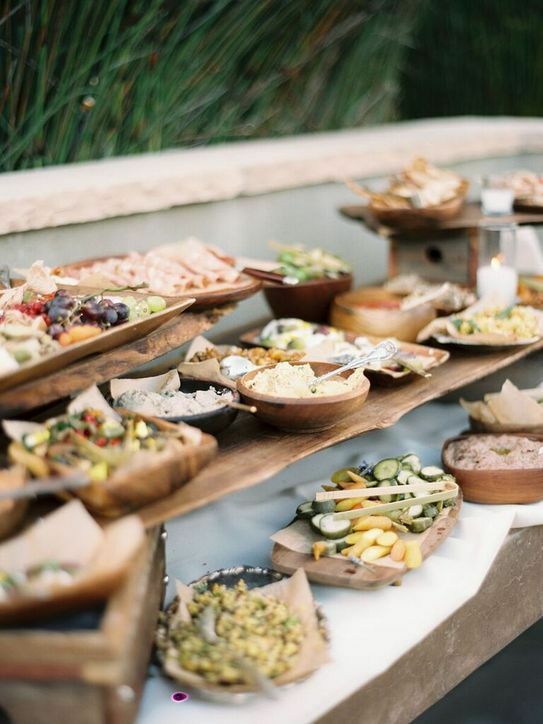 Here are a few ideas for sustainable catering for weddings. Make a realistic estimate of the quantity of food to be prepared. 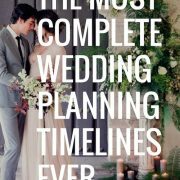 Ask yourself, how many guests will attend the wedding and who are the guests? Remember that men tend to eat more than women, and usually, women eat more than children. Always take into consideration the seasonality of the menu items. 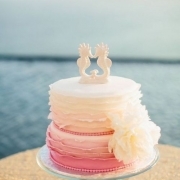 Make sure the type of fish or fruits that you choose are available at the time of your wedding. If you are going to serve game at your reception, make sure it’s not a closed season. Sustainable catering for weddings by Beverly, MA (Boston) Chive Events. 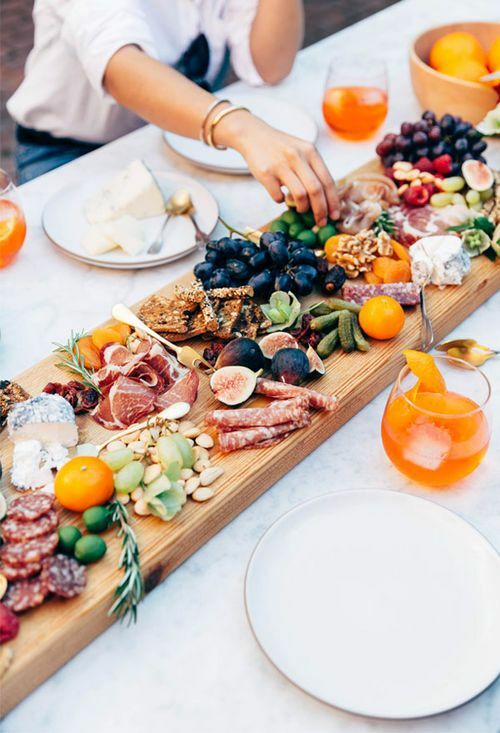 Organic and sustainable fare is an undeniable food trend and many brides are looking to find a way to make sure their wedding menus follow suit. Roasted pig with chimichurri and assorted grilled vegetables by Purslane Catering, Brooklyn, NY. Photography: Belathee Photography. Try to avoid frozen products. A frozen product needs extra energy to be frozen, and that creates a greater carbon footprint. Choosing a farm-to-table caterer, will help you make the right decisions. Butternut squash soup shooters, crostini with fresh Mission figs + caramelized onions, and a selections of California cheese by Farm to Table Catering. 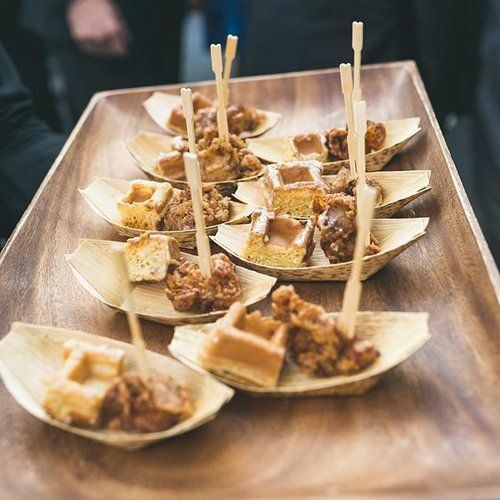 Chicken n’ waffles with maple gastrique on recyclable palm leaf plates by Purslane Catering. 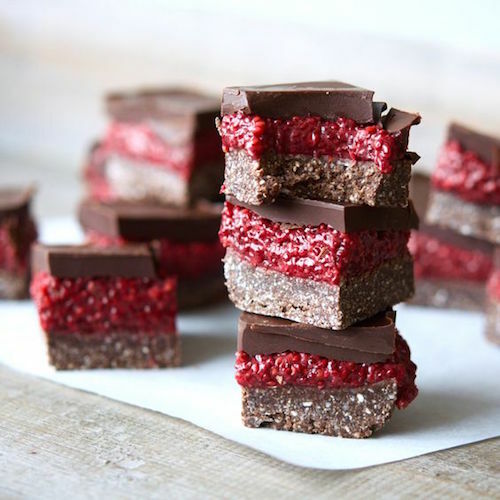 Chocolate, Raspberry + Chia Slice all in season! 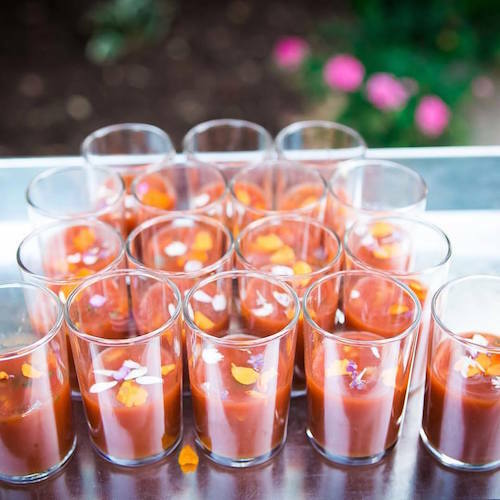 Late summer sips gazpacho soup shooters by Farm to Table Catering. Photography: Donna Beck Photography. Let’s find out more about sustainable catering for weddings and discover if you could contribute at least a bit to the health of our planet! The Naked Bite. Miami & Austin! 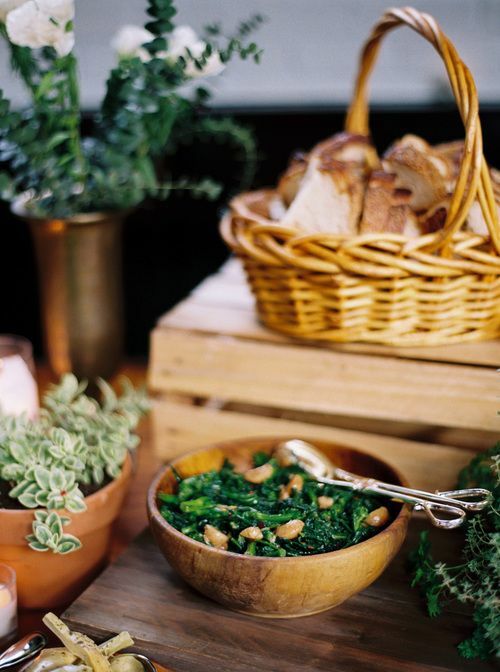 Sustainable catering: Using organic and locally sourced food will continue to be important as more and more couples are making the environment a priority with their catering. Lindsay & Heather, LVL Weddings & Events. Use eco-labeled products. This indicates that the environment was respected during production. Use reusable utensils (glass, ceramics, etc. ), and if they are disposable, be sure that they are compostable. And recycle!!!! Thus less waste will be generated. Another great idea to avoid wasting food is to send your guests home with paper doggy bags. 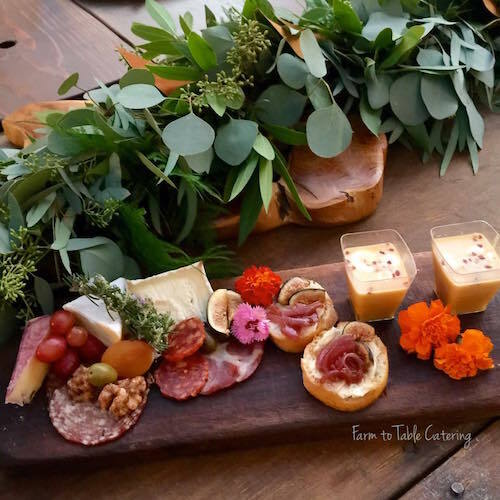 Rosemary roasted nuts and an artisanal California cheese board with Italian dried meats by Farm to Table Catering, Nevada County, serving Nevada City, Grass Valley, Lake Tahoe, Sacramento, and the Gold Country of Northern California. Drinking water is very popular but also a very expensive natural resource to obtain. So in sustainable catering it is necessary to avoid excessive consumption of water and make sure all the water used is necessary and adds value. In the preparation of menus for sustainable catering, low water footprint food and beverages should be selected, trying to reduce the consumption of meat as much as possible, meat being one of the foods that has the largest water footprint. 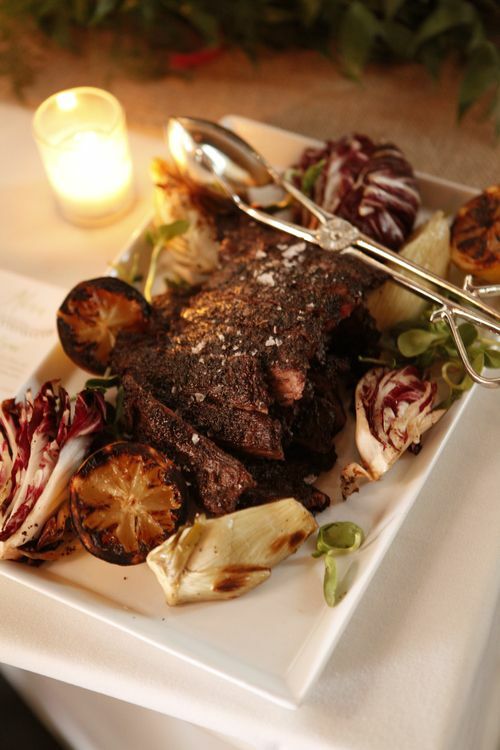 Here, top New York City caterer Cleaverco offers dish ideas for all seasons. Green wedding menus. 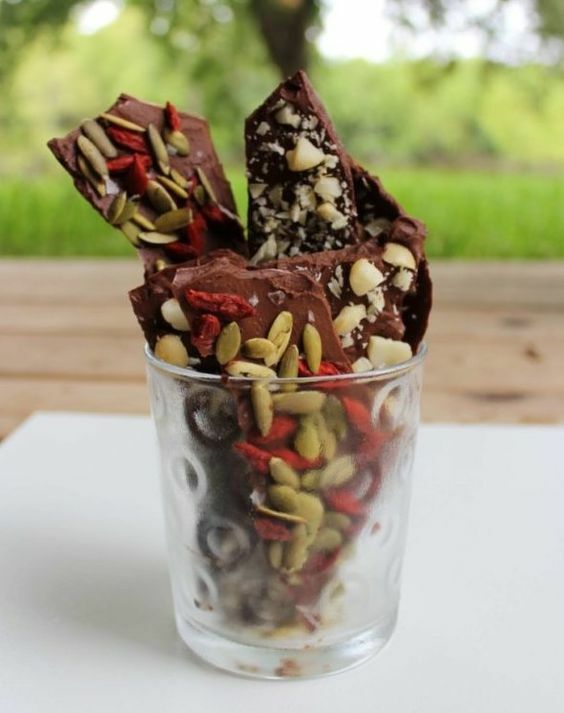 Raw chocolate bark, quick, clean and naughty all at the same time 😉 by Naked Bite Catering. 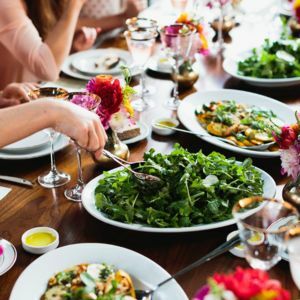 Do expect a bigger sticker price for sustainable catering, as a caterer who uses local, organic and sustainable ingredients will usually charge from $145 – $250 per head, depending on where you are geographically located. 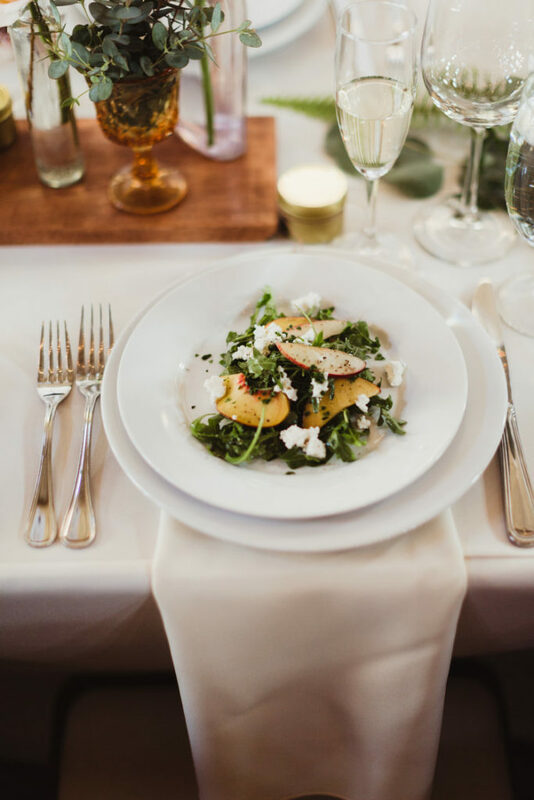 We hope you enjoyed this mini-guide to sustainable catering for weddings. Leave us your comments at the bottom of this page!!! 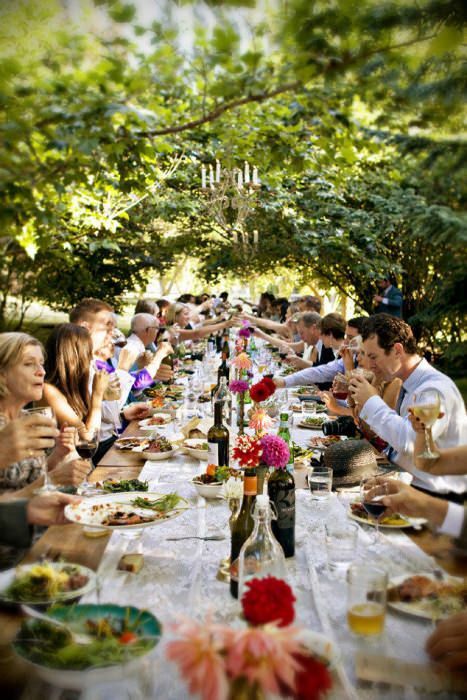 Family-style reception dinners are friendlier to the environment. 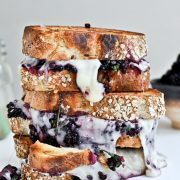 Los Angeles sustainable wedding catering company Eco-Caters, All organic, green sustainable buffet wedding ideas. Photography: Rachel and Sarah Take Pictures. Love the originality of sustainable catering. Instead of presenting individual servings, a centerpiece with ethically sourced delicacies. 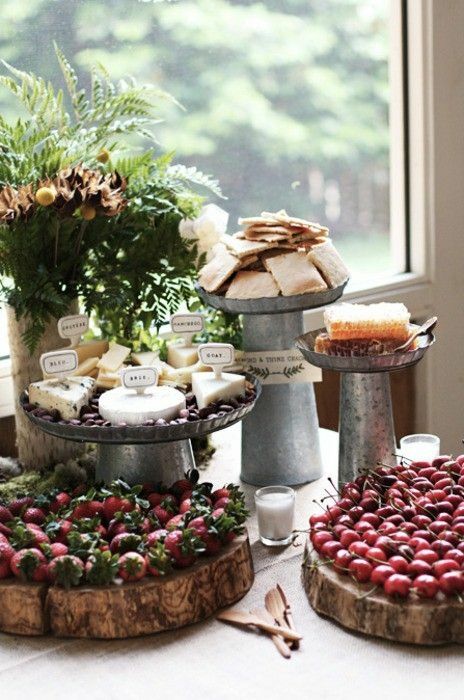 Farm to Table inspirations: rustic cheese and fruit display. 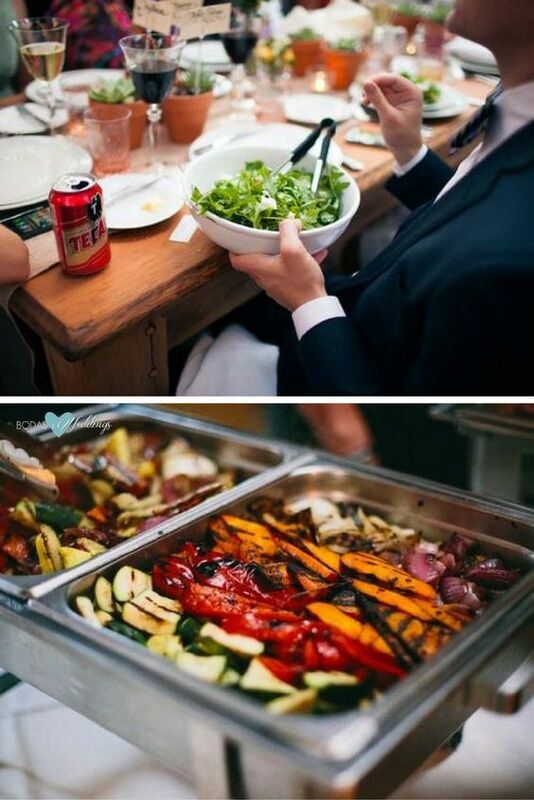 Wedding sustainable catering: love the mini tacos! Chef Valdez from The Naked Bite. Austin, Texas & Miami, Florida. 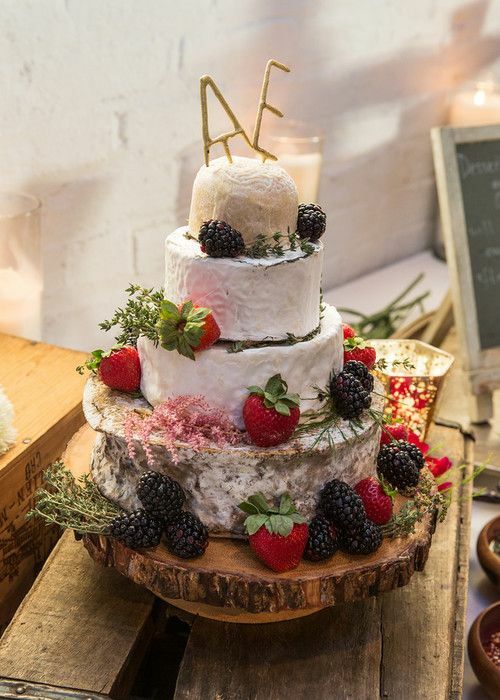 Love the summery eco-conscious decoration for this wedding cake by Purslane Catering. Photography by Lassara Photography. Root beer braised pork tacos and oysters & cracked crab claws. Photography Unique Lapin. Fresh asparagus & radishes Photo: Kate Ignatowski. 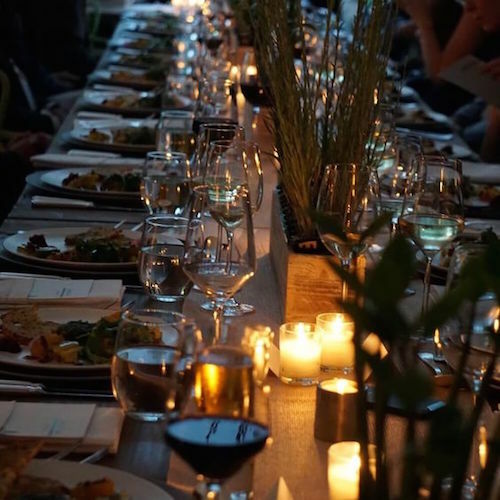 Catering: Purslane Catering, Brooklyn, NY. 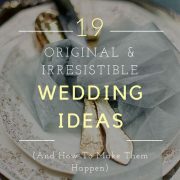 https://bodasyweddings.com/wp-content/uploads/2016/11/Family-style-reception-dinners.jpg 700 467 Bodas y Weddings - Patricia https://bodasyweddings.com/wp-content/uploads/2019/01/bodasyweddings-logo-byw.png Bodas y Weddings - Patricia2016-11-18 20:09:182018-08-24 13:09:58Why Do People Think Sustainable Catering for Weddings is a Good Idea?